I am grateful for warm wood stoves on cool Fall days. For a strong, well-made house that my father designed and built. Those far away and those who have sat at my table, shared a meal and raised a glass with me. I am grateful for rain, snow, lakes, rivers and the whole water cycle on Earth that sustains life. I am grateful for the wilderness around me, home to my animal and plant friends. Thank God we live in a country with a Constitution and where the spirit of the law keeps us free. It helps us communicate, show photographs, organize and keep our rights and freedoms. I am grateful that people here and everywhere are willing to fight for our way of life. Thank Heavens we are willing to fight to have economic equality, clean water and air. I am fortunate to have peace of mind, quiet and a place away from the worst troubles of the world. “Such is the superiority of rural occupations and pleasures, that commerce, large societies, or crowded cities, may be justly reckoned unnatural. Indeed the very purpose for which we engage in commerce is, that we may one day be enabled to retire to the country, where alone we picture to ourselves days of solid satisfaction and undisturbed happiness. It is evident that such sentiments are natural to the human mind. 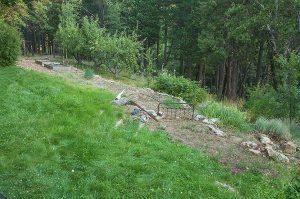 Lower Lawn, Raspberries, Apple Orchard, Raised Beds, Midsummer, Rough Rock, Northern Sierra Nevada, California, 2015 by David Leland Hyde. After return from Midwest travels. In 2002, two months before my mother passed on, I interviewed her for possible magazine articles about her locally popular organic gardening, preserving and food preparation. I also wanted to capture the essence of my parent’s philosophy of living. They lived a low impact sustainable lifestyle long before “sustainable” became a word or a trend. 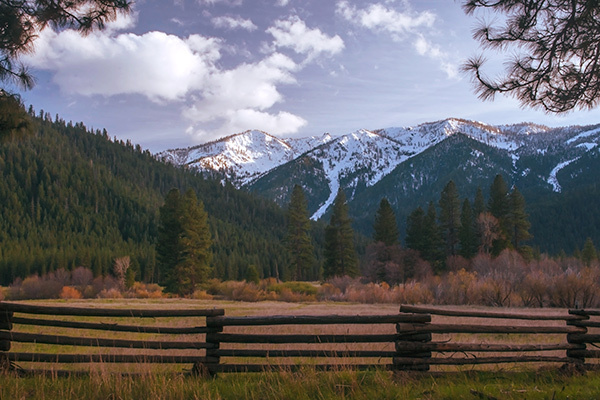 The blog post, “Living the Good Life 4: Failure in Carmel,” ends with Mom and Dad returning to the mountains and finally acquiring land where they could build a home. However, before this became possible, they did a great deal of soul searching, home location research, and made a study of various gardening approaches, building methods and house designs. In Living the Good Life, Helen and Scott Nearing described how they lost their livelihood in the Great Depression and grew weary of the worsening conditions and limitations of city life. 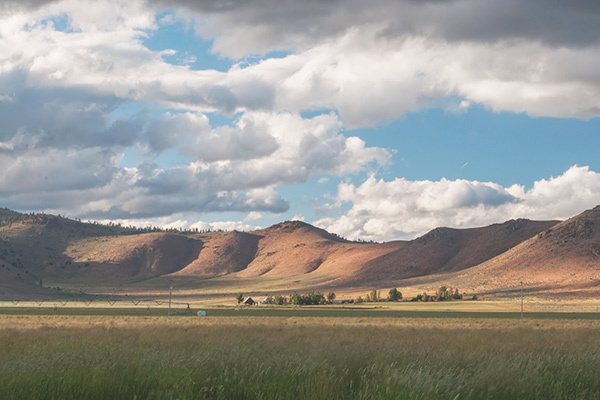 By the time the Back to the Land Movement gained momentum on the West Coast after World War II, the Hydes and their like-minded contemporaries wished to escape the city and “Live in the country, in a decent, simple, kindly way,” as the Nearings put it. In an interview by the now defunct Darkroom Photography Magazine, more recently republished in the blog post, “Philip Hyde at Home in the Wilds,” Dad disavowed the idea that he and Mom lived “too far” from any cities or even large towns. While livelihood stood out among other considerations in looking for the Good Life for the Nearings, Dad had a sense, even a kind of faith, that if he lived in the wilderness that he wished to defend with photography, prosperity would follow. 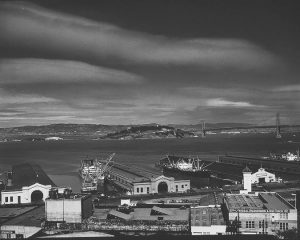 Mom and Dad made their exodus from the San Francisco Bay Area during the boom just after The War, while the Nearings left New York City during the Great Depression twenty years earlier. The Nearings’ observations at the time apply just as much today, now eight decades later and certainly applied during the cold war when Mom and Dad were settling in the mountains. If profit accumulation in the hands of the rich and powerful continued to push the economy toward ever more catastrophic depressions; if the alternative to depression, under the existing social system, was the elimination of the unmarketable surplus through the construction and uses of ever more deadly war equipment, it was only a question of time before those who depended upon the system for livelihood and security would find themselves out in the cold or among the missing. We disapproved of a social order activated by greed and functioning through exploitation, acquisition and accumulation. The Nearings explored Europe, Asia and much of North America before deciding to remain in the Northeastern U.S. for the seasonal aesthetic beauty of big snow in the winter, budding greenery in the spring, heat and swimming in summer and the “burst of colors in the fall.” Physically they discovered that “the changing weather cycle is good for health and adds a zest to life.” As can be read about more in the blog post, “Living the Good Life 3: The Change of Seasons,” Mom, Dad and myself in my time, all have loved the change of seasons. We were leaping from the economic and social sophistication of a metropolis to a neighborhood in which few of the adults and none of the youngsters had ever visited a large city, in which every house was heated with wood and lighted with kerosene. In the first year of our stay we piled the children of several neighbor families in the back of our truck and took them to get their first glimpse of the ocean, to see their first train, to attend their first movie and treated them to their first ice cream soda. 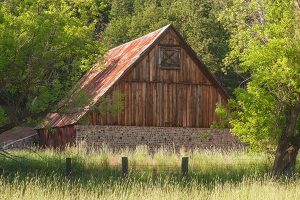 The Nearings started as “summer folk,” who are disliked by the local population because they “do not intend to stay long or work much.” “Summer residents do no great harm if they occupy abandoned land, or marginal land unfit for agriculture. However, many of them let their pastures go back to woodlots, which is detrimental to the agriculture of the state when the land goes out of production. The more summer people the more demand for factory goods and specialties in stores shipped in from out of state. “Summer folk,” for the most part, obtain their dollars out of state and exchange them for canned goods in the local market rather than growing their own produce. The social consequences of turning the countryside into a vacationland are far more sinister than the economic results. What is needed in any community are individuals, householders, villagers and townsmen living together and cooperating day in, day out, year after year, with a sufficient output of useful and beautiful products to pay for what they consume and a bit over. This is solvency in the best social sense. Solvency of this nature is difficult or impossible except in an all-year-round community. Went out this afternoon in the late low angle light and made more negatives of rocks, trees and Cathedral Peak, a photogenic, but difficult scene. 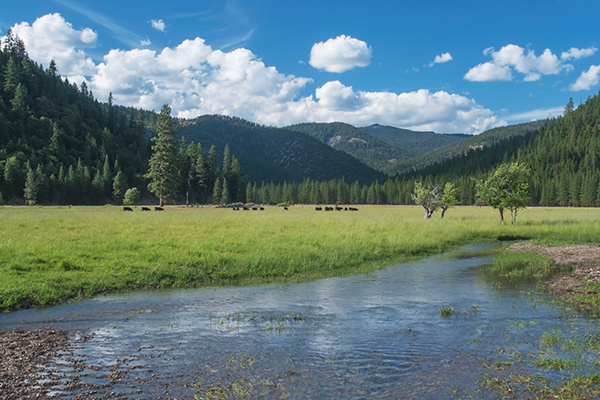 We’re really beginning to realize what we have here in Tuolumne Meadows. We have no clock or watch. We eat when our stomachs announce the time for it and go to bed when it seems like the thing to do. We get up when we’ve had enough sleep. We feel no strain toward getting something completed by a certain span of time—it just takes until it’s done. This is altogether a wonderful way to live. We’re busy now laying plans for making it a permanent way of life. Why strain for security in the city when you can live in the mountains each day to the utmost—never seeking for tomorrow because you’re busy living today? Living is a full-time job—why relegate it to the leisure hours left after a hard day at the office? Why slave for retirement at 65 when all you mean by retirement is freedom to live. You can live now, live today. 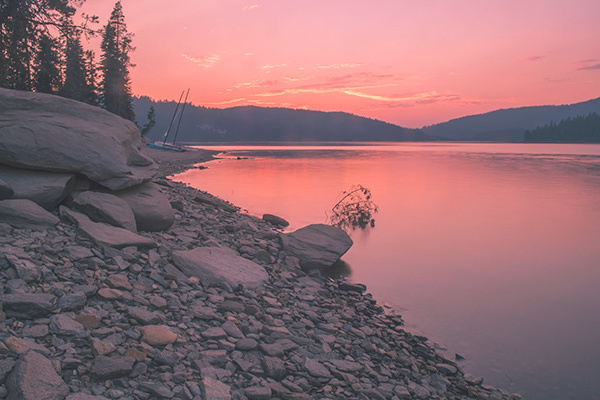 These Tuolumne days seem to bring out ever more clearly the things hinted at in our Greenville days and these sojourns in the mountains bring us into increasing contact with those who have found ways to live in the wilderness. The Nearings 20 years earlier in Vermont were also looking for ways to live in the mountains full-time. They laid out their garden to produce a year around crop that more than fed their family. Another piece of the income puzzle turned out to be saving and buying properties in the neighborhood to operate as wood lots for firewood. Land was still very cheap at a handful or two of dollars an acre. The forests were good sources of income for many rural towns. Here was something on which we had not counted. In a syrup season lasting from four to eight weeks, owning only the maple trees, the sugar house and some poor tools, and doing none of the work, we got enough syrup to pay our taxes and insurance, to provide us with all the syrup we could use through the year, plenty to give away to our friends and to sell. We realized that if we worked at sugaring ourselves, syrup would meet our basic cash requirements. 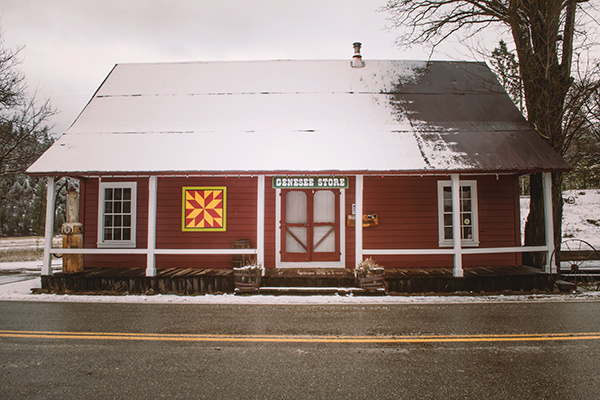 We were surprised and delighted to learn that here might be the answer to our problem of making a living amid the boulders scattered over the green hills of Vermont… The possibility of sugaring for a living answered the second question: how to finance the good life. Our next job was to determine the way in which the good life was to be lived. The passive solar, energy efficient, ahead-of-it’s-time construction of Rough Rock will be featured in “Living The Good Life 9.” The next two blog posts, Parts 7 and 8 in the series, will cover the ins and outs of various plans and designs for Living the Good Life. Part 7 will further examine the similarities and differences in methods and lifestyles between the Hydes and Nearings. Aristotle wrote extensively about ethics. He argued that the best reason to study and develop a sense of ethics is not to avoid punishment from God, the church or some other ethics watchdog, but to feel the best we can about ourselves. In a number of writings, Aristotle recommended the study of ethics, not as a pathway to righteousness, sainthood or rewards in the afterlife, but as the best path to happiness. Can a person who destroys a unique rock formation by vandalism feel good about him or herself after such an act? What if the destruction of a formation is done not for the sake of mere vandalism, but for the sake of profit, performing a job, or building a company to feed your family? 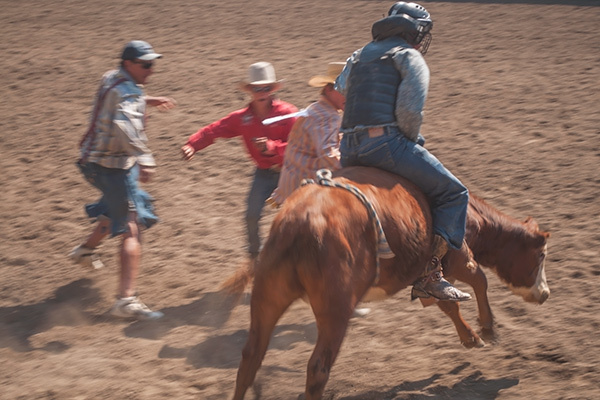 Do nature photographers have an ethical responsibility to the natural places they photograph? 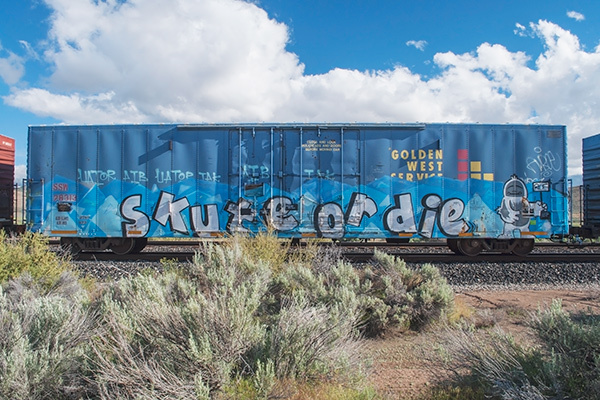 Do artists whose artworks publicize natural places have any ethical obligations? Do artists have obligations to the law? When photographers know they are one of many who will photograph an area, do they have any obligation to those who may come after them whether artists or non-artists? 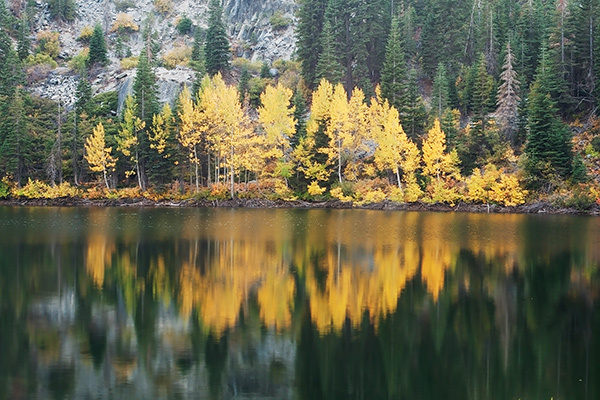 Do artists have an ethical responsibility to show nature in a natural state? What is Art? Is a work of art just like any other widget in any industry? To better understand yourself, consider your answers to these questions. Also consider developing more questions of your own. This person is motivated primarily to seek attention, good or bad. This person may be angry or expressing other negative emotions that trigger the acting out of childhood traumas. This person may feel ok about himself or herself because of denial. On further self-examination odds are this individual will admit to self-loathing, especially if projecting arrogance. Photographers seem to be more motivated after they experience the destruction of one or two of their favorite places, or they become inspired by an energetic leader. I act to protect the places I love, the water I drink, the soil that produces my food and food I eat, as well as the air I breathe. I will minimize my impact by photographing primarily in my own geographic region. Myself and other artists can guard our peace of mind in the short and long term by abiding by the law, asking permission, getting signed releases, watching for and obeying all “No Trespassing” signs, paying taxes, reporting sales tax and otherwise running an honest business and kindly encouraging others to do the same. I like photography and other art that shows nature naturally, but I also like photography that changes nature. I feel the sky is the limit in altering images, but it is unethical to present an image as unaltered when it is. I believe in honesty and lack of deception regarding camera work and post processing. In my opinion, photographers are wiser to disclose alterations or not say anything, but not to fabricate. What are your answers? What other questions do you suggest? When I was a boy, my mother Ardis rushed at all times of day and evening to answer the phone that was both the home and business line. She would call for Dad through the house announcing each caller, or run into the studio or outside to find him. She helped with his correspondence and kept in touch with our local friends. She managed our social life. She replied to all letters that were not requests for photographs. Dad had a policy of replying to all correspondence, a practice he adopted from one of his mentors, Ansel Adams. Now that I carry on his photography business, I continue the same approach to correspondence. More than 90 percent of serious inquires come through email, but between the inbox, texts, phone, voicemail, Twitter and Facebook, communications can be a full-time job. On top of all these channels, well-meaning friends, even sometimes well-informed friends recommend looking into this or that. It all can be overwhelming at times. Replying to everything means I sometimes inadvertently waste time answering spam or at least have to take extra time determining borderline cases. My spam filters do a lot of the work, but a certain amount of stuff that crosses my desk every day is off mission, off-topic or is distracting in some way. Regularly I get strange inquiries that show people would rather write me first than start with their own Internet search to find the most relevant source to contact. When I first started helping Dad in 2002 and took over Philip Hyde Photography in 2005, the year before he passed on, I was new and even a bit naïve as to what incoming information was worth paying attention to and what was not. Until you are in photography for a while, you don’t know the players, or even how a photographer successfully gets his message and photographs out to the world. I still discover new channels all the time. I also am inundated with the same old ones that don’t work for me trying to get my attention. In a short amount of time you begin to develop a healthy skepticism, even cynicism, about every idea, every inquiry that comes along. After this short time when you have become freshly cynical, you still have not heard of all of the good, legitimate opportunities that might possibly make your entire career. Even after you have been around for a long time, you may have heard of most of them, but not all, because new legitimate ones emerge all the time. And so it was that I passed up one of the best and most important opportunities that I might have ever found. There is an important moral to this story that emerges by the end of this blog post article. It may sound silly to some people and natural to others, but there was a time when I had not heard of PBS filmmaker Ken Burns. Regardless how famous he may be, I did not know who he was. My editor, who I generally trust as a well-connected and knowledgeable man, gave me Ken Burns’ phone number and said I needed to call him regarding a new National Parks project he was working on. Not knowing the scope, audience or respect that Ken Burns Films usually garner, one day I picked the number out of a tall stack of calls I needed to make. With a dismissive attitude I dialed the phone. A lady named Susanna Steisel answered the phone, but I subsequently forgot or mixed up her name with someone else and did not realize that she was the same lady I wrote to and conversed with later. Mixed in with some small talk, I explained who I was. 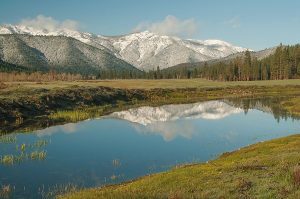 I said that my father was one of the primary photographers for the Sierra Club Exhibit Format Series that originally popularized the large coffee table photography book and were known as battle books for making national parks. I explained that Dad’s work participated in more campaigns than any other photographer of his time, that he was one of just a few West Coast photographers who have ever had a solo Smithsonian exhibition, his in particular covering the national parks and monuments. Ms. Steisel told me about all the well-known people they already had in the film. Many of them related to the 1800s or early 1900s, or were more current interviews of National Park Service personnel. “It sounds like this project is mainly focused on the earliest days of the founding of the parks, not the later days in the mid 1900s, around the 1950s, 60s and 70s, is that right?” I stopped her in the middle of her explanation and asked. Taken slightly aback, she agreed. We talked just a little more, I wished her well on the project and then got off the phone. I checked off that task and moved on with other calls. Later, after I learned more about Ken Burns Films and what an opportunity I lost by not listening more and jumping in with a snap judgment, I was angry with myself and angry with Ken Burns Films. I felt especially bad after I met QT Luong, a contemporary landscape photographer who Ken Burns featured in one segment of the film series. 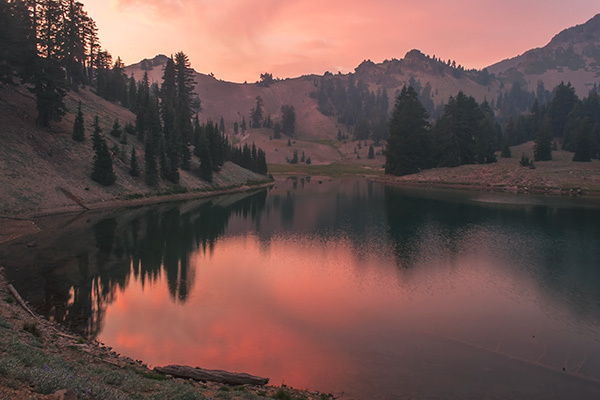 QT Luong’s claim to fame was that he was the only photographer known to have photographed all 59 national parks. 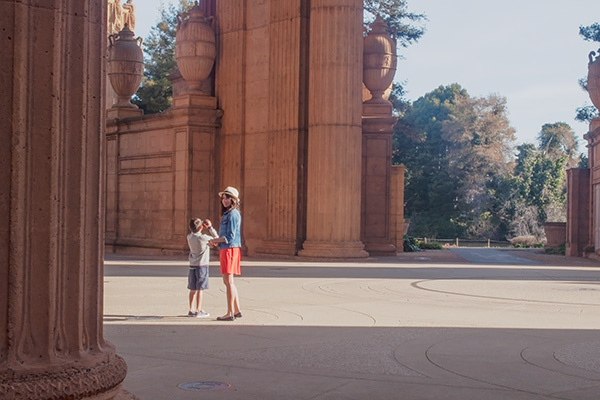 QT Luong’s photographs are exquisite and serve the purpose of showing the beauty of the parks with a contemporary aesthetic, much the way Dad’s photographs had for their time during Mid-Century Modernism. QT Luong also writes an excellent photoblog and it was through blogging that we became friends. 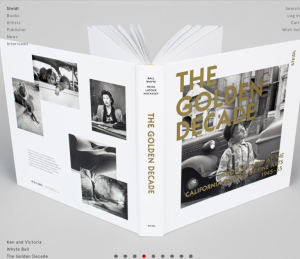 Look for my review of QT Luong’s late 2016 book, Treasured Lands: A Photographic Odyssey Through America’s National Parks, a book that I helped edit. 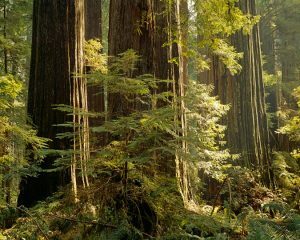 When I got to know QT Luong a little, he confided in me that significant income came from involvement in the 2009 film series, The National Parks: America’s Best Idea. However, he said recently that inquiries resulting from the film were fewer than he expected. Back in 2010, he wrote about this and other aspects of his involvement in a blog post, “QT Luong in Ken Burns National Park Series,” which might have cleared it up except that I didn’t see the post until after I wrote this article. Did you get my voicemails? I returned your calls, but have heard nothing back from you. Ken Burns is a very talented filmmaker and I hear he did a great job on his National Parks film. However, there is one aspect of his work that I am very disappointed in, well, not in him specifically, but in a lady on his staff in his office who made it seem like the Ken Burns documentary on the National Parks was only about the earliest founding days and not about the era when the most parks were formed in the 1950s, 1960s and 1970s. Due to a miscommunication and misunderstanding my father’s work did not make the film, while other photographers both contemporary to Dad and those who came after, were in it. This reflects badly on Ken Burns and his film. Why? Because my father helped make more national parks than any other photographer and is widely known as having been the backbone “go-to” photographer for more of the Sierra Club led national park campaigns than anyone else. My father was the first photographer sent on assignment for an environmental cause in 1951 to maintain the integrity of the national park system by helping to keep dams out of Dinosaur National Monument. Dad’s book, Time and the River Flowing: Grand Canyon, also was part of the core of the campaign to save the Grand Canyon. Dad had a solo show that opened at the Smithsonian in 1956 and was nationally toured to major museums during 1956-1959 called, “America’s National Parks and Monuments.” Dad’s national park related resume is one of the strongest. I hope at some point to have a friendly creative talk with Ken Burns about how Dad’s much deserved recognition, heretofore supplanted by other photographers, could come to fruition. It is high time Dad receive the recognition he deserved. When I say ‘supplanted by other photographers,’ I’m not referring to Ansel Adams, who belongs in any National Parks film. Ansel was a mentor, teaching associate, promoter and friend to Dad. I’m referring to other photographers covered in the film who happened to have photographed National Parks after Ansel Adams for their own benefit. 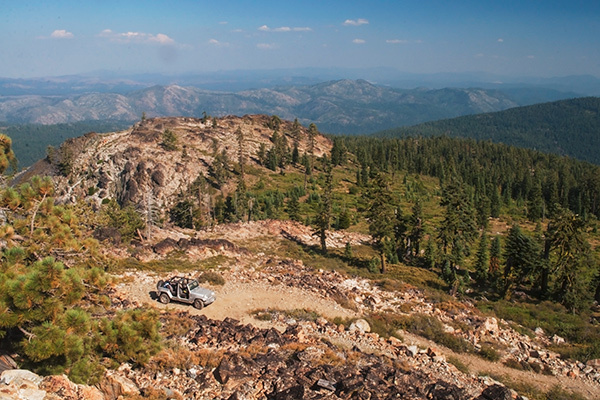 Dad dedicated over 60 years of his life to exploring and defending wilderness. His story needs to be told “writ large” by someone like Ken Burns with real filmmaking talent. Please let me know if and how I can help you. To this message, Ms. Steisel to her credit replied with “sincere apologies.” She mentioned that she had run across Dad’s photographs and “thought they were as beautiful as any I have seen of the parks… If we can talk perhaps I can make up for past transgressions. I don’t know how these photos got missed.” She asked for a number where I could be reached to talk about it. She had already begun to melt my heart, but I was still disappointed by the opportunity lost, knowing that the film would stand as it was for all time without Dad’s photographs in it. Covering mainly Ansel Adams in such a film, is of course necessary, but is only the low-hanging fruit. Also, merely plucking contemporary photographers out of the air to be the token photographers in the film, without researching who actually deserved credit for making the national parks, is a disservice. In all other aspects, I hear the film is a moving tribute and one of the best ever made on the subject. As a highly talented and top notch filmmaker, I would hope that Ken Burns might be interested in righting these omissions and errors by considering doing a film on my father. Someone will sooner or later and it will have a wide audience. I have already had other filmmakers express interest, but I want a major player like Ken Burns to do it… call me any time. Please share this with Ken if you at all can. Certainly you’ve heard countless rave reviews of the National Parks film, though with my background, I hope mine will still carry some weight. I am also a big fan of documentaries and have watched far more of them than the “average bear.” This one I have to say is one of the best I’ve ever seen. I agree with those who say that Ken and your team have a gift for storytelling. I loved all the detail and powerful intimate stories you all found and presented so well. I like the idea of telling “the bottom up stories,” rather than the top down ones, though there was plenty of that too with all the presidents. My father’s work and story would have been perfect for your approach because, as is widely known, he was the people’s photographer, the approachable guy, the hard-worker whose accomplishments to recognition ratio was one of the lowest. Ansel was the ambassador and entertainer of movie stars and politicians, while Dad had his boots on the ground in so many of the campaigns, sharing photographs with local leaders and going to many places way ahead of anyone else’s interest curve. Speaking of which, in your film you mention a man going to Dinosaur in 1952 and making snapshots that influenced David Brower to get interested in saving the place. Actually, Martin Litton started writing about Dinosaur in the LA Times in 1951. Brower and Richard Leonard sent Dad to Dinosaur the same year. Dad’s photographs from four trips 1951-1955 and Litton’s were what made the book, This Is Dinosaur, though of course attaching Wallace Stegner’s name at the time is what put it on the map. With the bottom-up approach, it would have been perfect to tell the story of Litton and Hyde, more than Stegner, the Pulitzer Prize winner, especially since they did most of the work on the campaign. You can’t ever tell all the stories. I mention this not to say you got the story wrong, but as an example because there were other places where Dad’s involvement would have been interesting to your audience and added much more depth. The whole time I was watching the film, I was incredibly moved and also kicking myself, for not having listened longer when we first talked on the phone. I remember the conversation and it was actually more my fault than yours that you did not find out more about Dad. Though obviously my whole life I was around Dad and the family part of his story, I was fairly new to telling his professional story. Also, we talked not long after Dad had passed on and I was still reeling. I was not sure how or what I was going to do with any of it. Seems like the film contained a great deal about John Muir, but not as much about the Sierra Club, Wilderness Society, National Audubon, etc. Some of those names unfortunately have a stigma to some people, so I suppose I can see why they were not emphasized. I like how most of the stories were personal anyway, rather than about organizations. Yet, that coin has two sides. Reality is that nearly all the parks were all out battles just to bring into existence. Your film covered a smattering of that, but relatively little compared to how much of it occurred. In this sense, as pure journalism, it might not be considered as accurate by some, but the flip side of that is that your team told a story that was universal and could be related to by all. It was uniting, rather than divisive, which is exactly what the parks themselves were after they were formed. Getting them formed, however, created huge controversy, divisions and disagreements that continue to this day. You de-emphasized this, which I can see in the final analysis was for good reason. Ultimately the film is a smashing success. I was nearly in tears at some points from the sheer beauty of the scenery and cinematography. The narrative too, had good pacing in that it snapped right along and engaged me deeply. I loved hearing from so many of the rangers. Thank you again so much for sharing it with me. How completely touched I am by your letter. I will pass it on to both Ken and Dayton Duncan. It is a really fine line between telling the actual whole story in detail and making a film that will be accessible to a wide-ranging audience. We really do try to do our best. I lost both my parents early in life, and I have to say that I am envious of how proud you are of your father, and how much you know about his life, and appreciate his life. It is a gift that not many of us have. Looking back, I wish we could have done better by him. I really do. Maybe I didn’t quite know what I was doing either. Take good care and stay in touch if you want. I wrote her back and told her I appreciated her heartfelt response. I said that I was also touched by the gift of the films. I wrote, “A good lesson I have learned, I sure hope, is to listen more and not jump to conclusions. You all are doing wonderful, important work.” Ken Burns himself also wrote me to thank me for writing, to share how moved he was by my message and to say he was grateful to hear my story. In this day of media sound bites, over-filled inboxes and the constant barrage of social media news feeds, I, like many of my peers in this civilization, have learned to skim through everything very quickly. I see people from all walks of life making snap judgements all the time that are way off the mark and lead to all kinds of problems. Someone misjudges someone else when they meet and an opportunity is lost. Someone makes comments on a Facebook post that are insulting or irrelevant merely because they didn’t take the time to read the conversation before they added to it. Now that my misunderstanding with Ken Burns Films is cleared up and a connection has developed, it may lead to something professionally interesting, but even if it doesn’t, the significance of the positive goodwill and mutual respect should not be underestimated. This experience and the loss to my father’s work and his legacy have taught me that I must slow down and review each contact or suggestion carefully. In particular I must beware not to take any conversation or meeting for granted because my next big career break might be lurking somewhere in the pile of messages, spam and irrelevance. Jim Goldstein at JMG Galleries Blog first started this group photoblog project in 2007. The blog project has run every year since. I have participated each year since 2010. 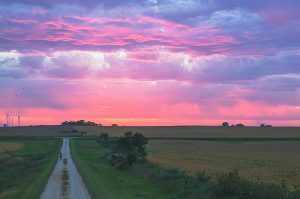 The concept is simple: each photography blogger who wants to take part, near the end of each year, puts together his or her “best” or “favorite” photographs from that year. Once each respective photoblogger posts a blog post of his best photographs of the year, he then fills out a small form on Jim Goldstein’s blog. After a certain date, Jim then makes another blog post containing a list of all of the “best of the year” blog posts along with a link to each of them. During the year 2016, while I concentrated on writing and other projects, I made fewer exposures than in any other year since 2009 when I switched to digital. I made about 10 percent or less of the number of images I made in 2015. Not only did I photograph less often, I made far fewer images each time I went out. Still, I discovered that not only did the overall quality go up, I made a much higher ratio of portfolio worthy or near portfolio worthy images than ever before when I was less selective. My hard drives and extra disk spaces are thanking me. It is satisfying and confidence building to know you do no have to make hoards of images to “get the shot,” or to make meaningful photographs, whichever of the two you prefer. The below photographs are all single-exposure, no bracketing, no HDR, no blends. I am not against these processes per se, but I find I do my strongest work without them. Particularly when photographing people, in the field I work intuitively, more often quite slowly with faster lurches when necessary. 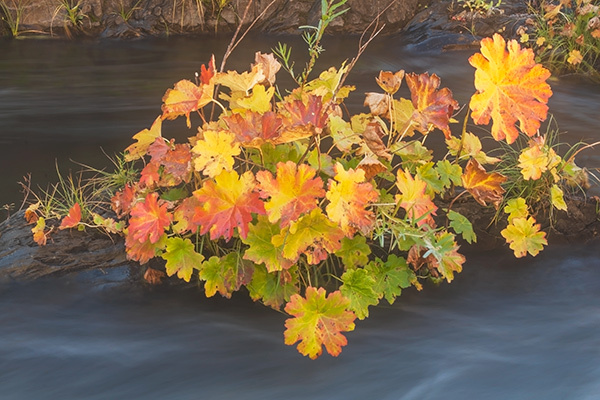 My nature images come from a deeper, tranquil place, both outside and within, but even with landscape photography, I like a less-perfected, rougher and quicker approach to post-processing. I do bracket for exposure, but rarely end up using the resulting files in combination. I often find a single image within the bracket works just as well in much less time, or I end up using a different photograph. I replace the traditional film darkroom methods of dodging and burning, that is, lightening and darkening certain areas, by using Photoshop for post-processing. I control contrast, shadow and highlight intensity with Photoshop levels, curves and a hopefully tasteful limited application of vibrance and saturation. In this way, I use the tools of the digital darkroom for similar purposes as film photographers use traditional post-processing. However, I generally have much more control over all areas of the image and the resulting archival chromogenic and digital prints than even the old large format masters like my father, conservation photography pioneer Philip Hyde. For more information about each image and to see them even larger visit my new website: Hyde Fine Art at http://www.hydefineart.com/ . Not all of these “Sweet 16 for 2016” photographs are up on the site yet, but they all will be soon. Mt. 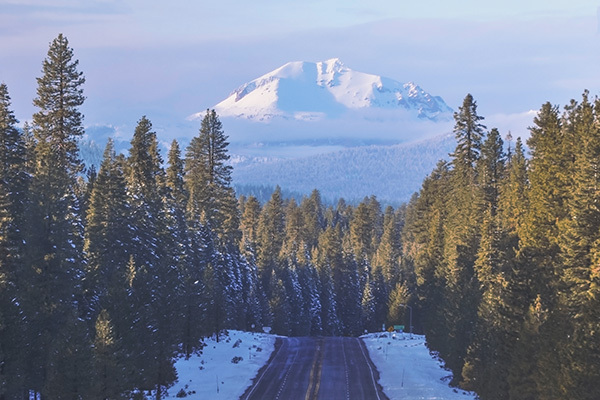 Lassen From California Highway 89, Winter by David Leland Hyde. I have always wanted to make a photograph from this spot, but this was the first time I could get up there after a fresh snow and under the right conditions for a decent image. I was on my way to a meeting and stopping to make a few exposures made me late, but it was a “now or never” situation. 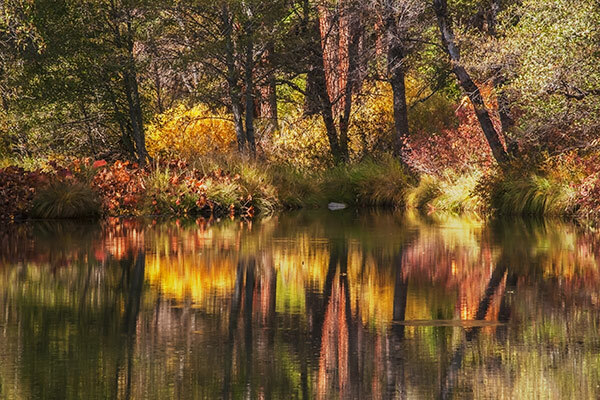 Fall on Spanish Creek Near Quincy, California by David Leland Hyde. I love roaming Spanish Creek and Indian Creek with or without camera in the autumn of the year. 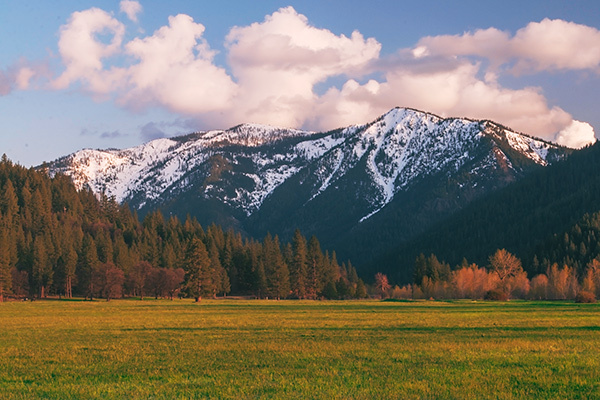 Fall in Plumas County in the headwaters of the Feather River is like no other place on Earth. 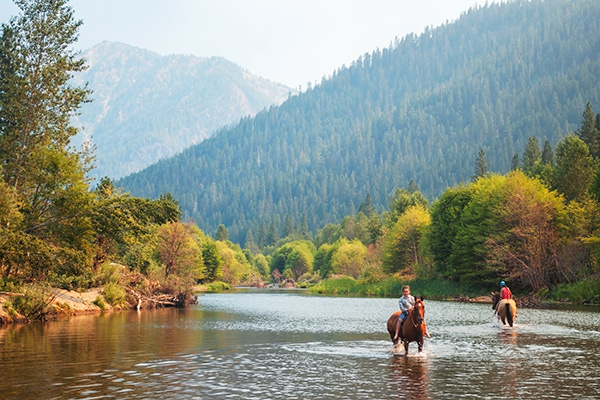 Certainly there are no other “California rivers” quite like Spanish and Indian. As much as I love it, my life is usually in high gear coming out of the summer and I often miss the peak Indian Rhubarb moment, which lasts just a few days and varies as much as a week or two on arrival each year. This year I caught it a little past the peak, but the bright colors were still going strong and worked well with the dogwoods, willows and alders that were already turning. This year more than others, everything seemed to peak at different times, so this idyllic blue sky day on tranquil Spanish Creek represented the happiest medium possible. If there was ever a place to get lost in time and drift away to another world, this was it and will hopefully long be it. It has changed little since the days of the California Gold Rush. 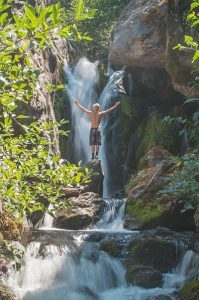 Empowered at the Waterfall on Ward Creek, Sierra Nevada Mountains, California by David Leland Hyde. One of my best friends I grew up with and two of his boys and a friend of theirs went on a secret hike near my home. I say “secret” because it is on gated, fenced private property that nobody else can enter, unless you know the owner. We hiked past a spooky old falling down mine we used to visit as kids to the waterfall on Ward Creek, a tributary of Indian Creek. I photographed the group standing in front of the waterfall, the waterfall by itself and the boys in various poses and clowning around. At one point Landon stepped up onto that rock in the center and made a pose facing the camera, then turned and faced the waterfall. Though the falls were so loud in the narrow gorge that none of us could hear each other, Landon clearly had a feeling come over him as he faced the falls. His pose here was the spontaneous result. 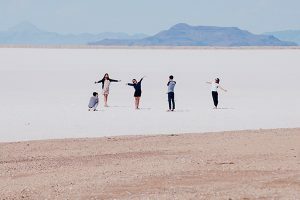 Yoga-Like Poses, Bonneville Salt Flats, Great Salt Lake, Utah by David Leland Hyde. Towing a U-Haul trailer loaded to the gills with fire safes and stuff from Colorado to Northern California, I stopped for a much needed rest from the road at this rest stop on Interstate 80. At first I had my camera on my tripod photographing the salt flats and the distant mountains. However, I soon got more interested in the people who kept walking out on the jagged rough salt and making all sorts of stretching and other strange motions. This group was off to the far side, but started doing exercises like pilates or yoga. I panned back and forth making a series of images of the various tourists against the white lake bottom background. Wild Mustangs, Hazy Morning, Tall Grass, Central Wyoming Open Range II by David Leland Hyde. Somewhere in Central Wyoming this herd of wild horses grazed peacefully along the freeway. I stopped and walked back toward them with camera off my tripod and ready for action photographs. At first they were skittish and ran a little ways away, but slowly and seemingly curious, they came back toward me as I waited in silence. I made my best attempt at horse whispering to get them to walk toward me. After a little time went by, they were playful in front of the camera and acted as though they were familiar with being photographed. I was able to make some exposures of them walking, standing, grazing and on the run. Thank you Wyoming and my new four-legged friends. 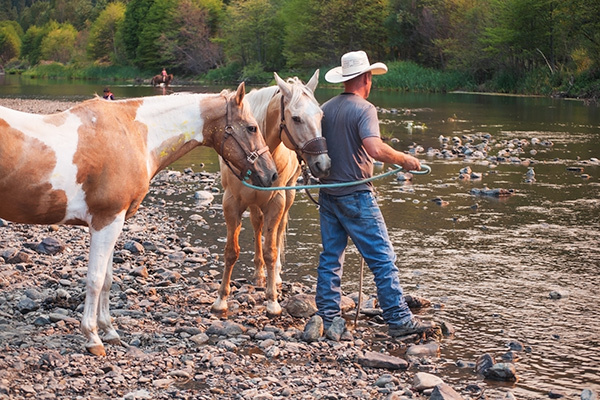 This was a special gift because throughout my summer 2015 17-state, 10,000 mile trip to the Midwest photographing farms, I came back with only a few photographs of horses. 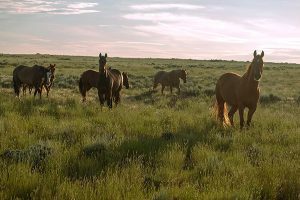 Though these Wyoming wild mustangs’ coats were a little scrappy and their tails had burrs, they were big and lean and more muscular than most domestic animals. 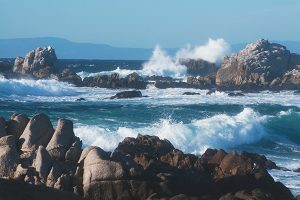 Storm Surf, Point Pinos, Pacific Grove, Monterey County, California Beaches by David Leland Hyde. With only an afternoon left in Monterey, a local large format photographer recommended I check out Point Pinos. The surf turned out to be larger than usual, which made for a number of interesting frames. 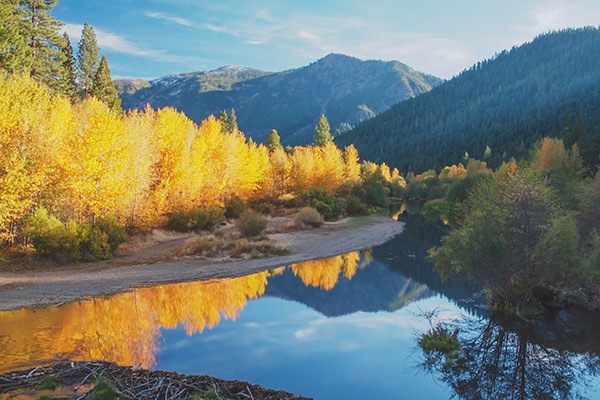 Fall Alders, Indian Creek and Grizzly Peak From the Taylorsville Bridge by David Leland Hyde. One afternoon coming home from Quincy and having photographed fall color on Spanish and Indian Creek most of the afternoon, as I crossed the Taylorsville Bridge, I saw what could be a keeper image. This is probably one of the most, if not the most photographed place in Indian Valley. My father made a number of large format photographs here in different seasons, going back as far as the early 1950s. If I was going to stop, it had to be good. I still would like to get a lot of snow on the mountain with fall color sometime, but the timing here turned out well with the interesting light and shadow in the middle distance and the lines and shapes that echo from the foreground beaver dam, beach and reflection to the distance. 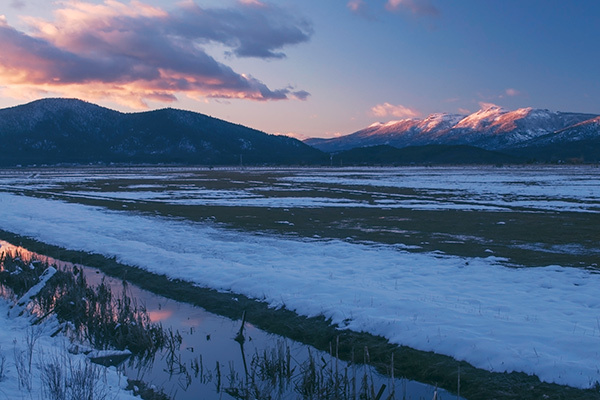 Olsen Barn and Meadow, Evening Sierra Mist, Winter, Lake Almanor, Chester, California by David Leland Hyde. 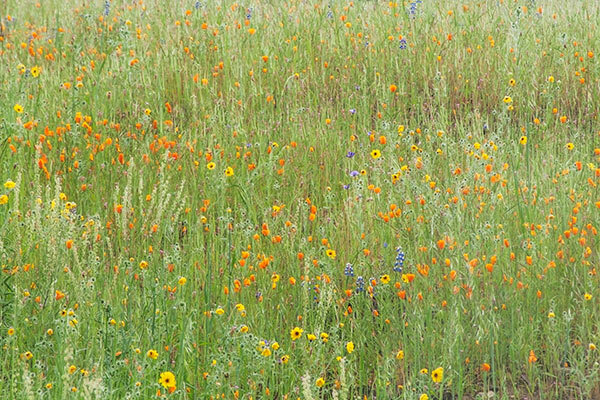 This photograph has special meaning to me because I am a member of the Stewardship-Management Group for this Feather River Land Trust property. I made this photograph as a plume of smoke or Sierra mist came in low across the meadow just after a cloudy sunset several hours after a meeting of our committee at the barn. I made several images over the space of about 10 minutes and suddenly the mist or smoke was gone. Wall Murals, Detour Sign, Carpet Warehouse, Oakland, California by David Leland Hyde. 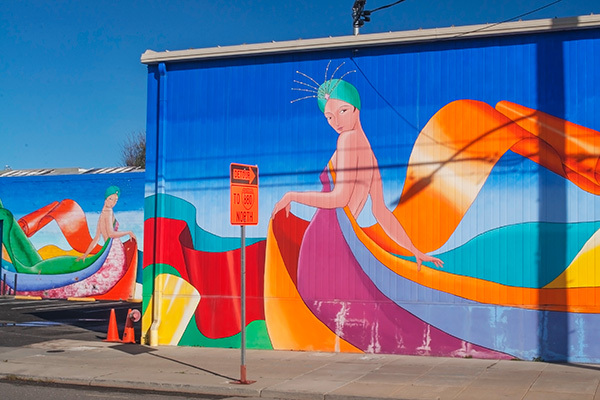 One morning driving out of Alameda I saw this wall mural on a carpet store and had to stop because of the vivid colors. I made quite a few exposures of details and from different angles, but this one stood out most. I wonder if a certain photographer friend who lives in Alameda has photographed this store…? 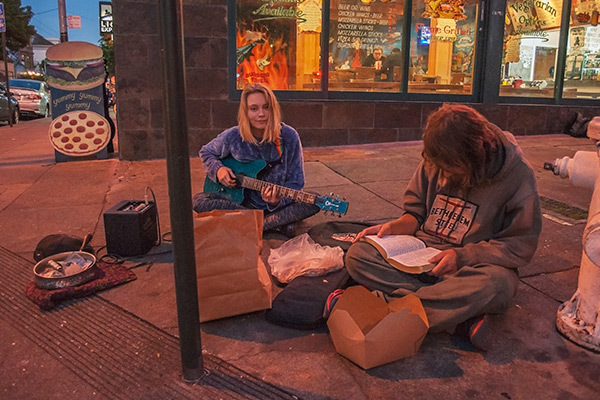 Fund Raising, Haight-Ashbury Neighborhood, San Francisco, California by David Leland Hyde. I love street photography. Here I just roamed up and down the Haight and surrounding streets at night with camera hand-held, photographing whatever I liked. This young hippie couple had obviously just eaten. He was reading the Bible and she was rocking the electric guitar… and I do mean rocking. She started out very slow with acoustic-like finger picking and gradually built up energy until she was standing up and blasting the neighborhood with her bell-clear voice and grungy bar chords. What a great smile too. All the time I was connecting with her and making a lot of photographs, her companion hardly moved, but just kept his head down reading away. 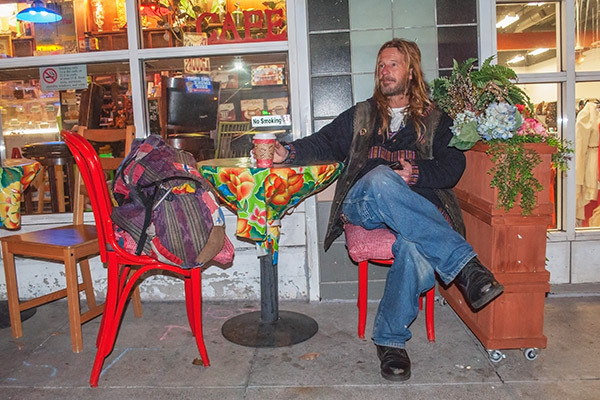 Hippie With Coffee and Phone, Haight-Ashbury Neighborhood, San Francisco, California by David Leland Hyde. This man had a warm smile and agreed right away to let me make his photograph. What a scene with the cafe windows, colors, coffee, red chairs, his backpack and the gray, spot stained sidewalk. I wish I had talked to him more. He seemed as though he had great tales to tell, like a Hobbit, Elf or some other traveler from distant lands. Sunset Clouds, Carmel Mission a.k.a. 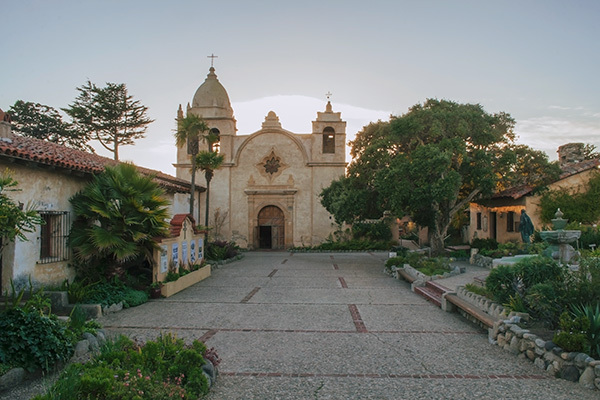 Mission San Carlos Borromeo del río Carmelo, Carmel-by-the-Sea, California by David Leland Hyde. This trip I arrived at the Carmel Mission less than half an hour before closing. By the time I got in, made a donation and started photographing I had 15 minutes to catch what I could of the Basilica interior and grounds of the Mission. I thought to myself that I could chose to get stressed out, cry, moan, complain, swear a lot, leave without trying or think of it as an exercise. Ok, 15 minutes, go… I was off. I made quick decisions, photographed the key subjects and most important angles. Surprisingly enough, all of my images were strong with few throwaway frames between. All in all a good exercise. Try it sometime. It is important to note that this approach is the exact opposite of what I typically use or recommend. However, mixing it up now and then, shaking up the routine, breaking all rules, including your own, builds not only photographic skills, but character and a sense of humor as well. 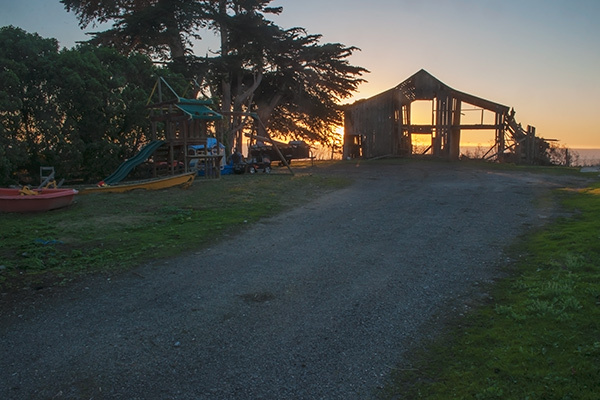 Sunset, Barn Skeleton and Playground Equipment, San Mateo County Coast, California by David Leland Hyde. 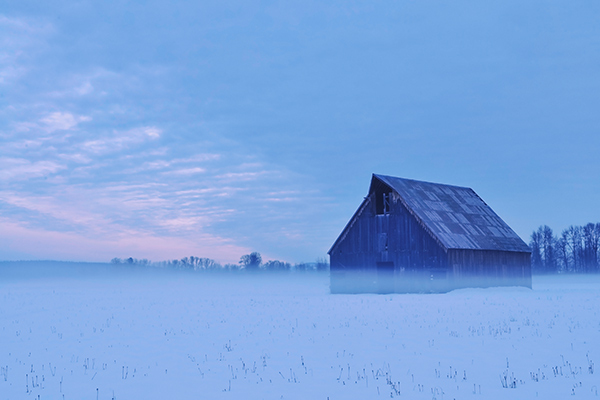 I saw this rundown barn silhouetted against the setting sun, but there was no place to stop or turn around. I had to jog back over half a mile while the sunset was in motion. Still, all turned out ok. I even made it further down the coast to San Gregorio for more photographs before daylight faded all the way to night. Anyone who believes online jpegs do photographs justice compared to prints is probably looking through the wrong end of the kaleidoscope of history, or at the very least the distorted viewpoint of a throwaway device. Possibly they are being fooled by new screen technology on a computer with a perpetually outdated updating agenda. 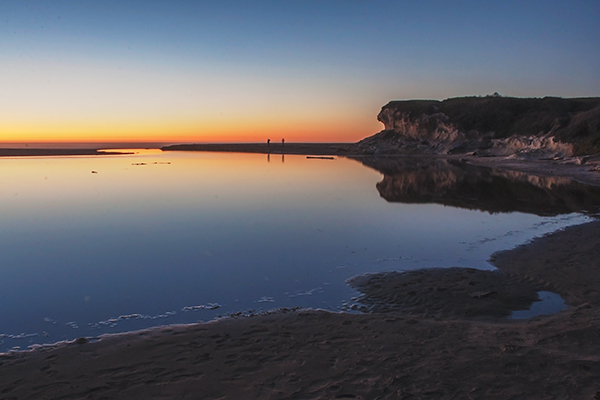 Twilight, San Gregorio State Beach and Lagoon, San Gregorio, California by David Leland Hyde. I arrived at San Gregorio Beach with little more light than an orange glow on the horizon. I kept going for longer and longer exposures as I photographed the beach and lagoon from different angles into complete darkness. The people on the beach were the biggest challenge and asset to the images. I tried to catch them while standing still, but some exposures show them in motion on the whole spectrum from slightly blurry to transparent ghost figures. 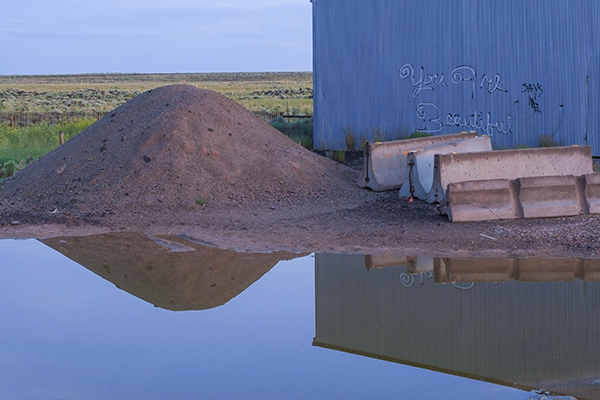 “You Are Beautiful,” Central Wyoming by David Leland Hyde. Somewhere in Central Wyoming off Interstate 80 there is a lonely service exit with some road building materials and a good wide gravel area to park for a nap when tired on a long drive. I slept for a few hours from around 4:00 am to daybreak. I photographed the sunrise over a corrugated shed and saw this scene behind my van just before getting back on the road. It reminded me of the beautiful cinematography and hand-held imagery of a plastic bag blowing in the wind in the film American Beauty. To me this scene contains warmth in coolness, humanity in loneliness and beauty in the mundane. It is a reminder to find beauty in yourself and in even the most plain or “ugly” of places. Ugly is only in the eye of the judge. It is not “real” in any sense, except that given to it.